Registrado sob o n° 51.741 – Livro A-182 fls. 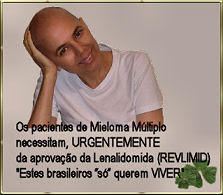 203v a 212 do protocolo Livro A-17 n. 318.809 – em 29 de junho de 2010 – Cartório 4º Serviço Notorial e Registral de Títulos e Documentos das Pessoas Jurídicas de Campo Grande-Mato Grosso do Sul – Brasil. Art. 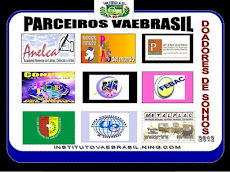 1st - For this document, it is social, cultural and juridically instituted the Associação Internacional Poetas del Mundo (International World's Poets Association) - civil association, without lucrative purposes, of own patrimony, uncertain duration, simply denominated in this Statute of POETAS DEL MUNDO that has for main objective to level the interior peace in the people, through of the cult, increase of the popularization of the Culture of all the people, without any entail sectarian, philosophical, politics or religious, of non economical purposes. 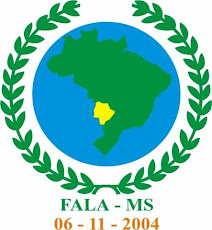 § 1st - Institutions of Knowing and Culture, national or international, they can join to the POETAS DEL MUNDO, after approval of the Presidency, with previous opinion of approval of the Juridical Management of this Association. .
§ 2nd - POETAS DEL MUNDO will promote its activities through Administrative Representations: a) a International Headquarters, Brazilian, in Campo Grande - MS, that will dispose about the cultural politics of the Association; b) a World Headquarters, located in Santiago, in Chile; c) Headquarters in all the Continents and more the Arab World, that will work like Vice-presidencies, and d) Representations and managements in Countries, Departments, Provinces, States, Municipal Districts. All the sections of this Entity will structure operation themselves, in agreement with this Statute and its Internal Regiment, and with the Laws of the Region and Country of itsspare establishment. 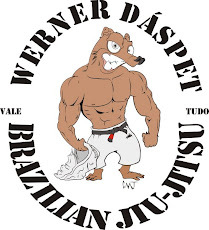 § 3rd - POETAS DEL MUNDO is its Headquarters in Brazil, that works administratively in 1065 Padre João Crippa Street, 109 room - Campo Grande - MS - BRAZIL - Zip Code 79002.380, operation under the defense of this Statute, of uncertain duration, could open, the Association, its representations in other Countries, States and Cities of the Brazilian territory and International. § 4th - the International Headquarters of POETAS DEL MUNDO, World Headquarters, the Continental Headquarters, the State and Municipal Departments in Countries, Provinces, will have as President Founder, lifelong, the Mr. Luís Árias Manzo - and, all will organize their own Managements without to disobey the norms of this Statute, nor the Brazilian Laws, nor those of the Areas or Countries where they are located. § 5th - The first mandate of the Management of POETAS DEL MUNDO will have the duration of 10 (ten) years, with admitted reelections of your Members, seeking the consolidation. Starting from the second order the duration will be of five (5) years. § 6th - The World Thirst will have your representation and lifelong presidency and the Representatives of Continents, of Countries, Departments, Provinces, States, of Municipal districts, will stay in their functions, even after change of the International Presidency of POETAS DEL MUNDO, until when the new elect Management of POETAS DEL MUNDO to find for well, in function of the good developed work; in if making need a destitution and new indication, those will be acts of the International President's competence and of the Entity President. § 9 - POETAS DEL MUNDO will have an Internal Regiment that, approved for the General Assembly, will discipline its operation. Art. 2nd - POETAS DEL MUNDO doesn't divide with somebody else its authority, nor its autonomy, being administered and governed by the norms of this Statute and for the exposed in your Internal Regiment that will complement it, subject both to the norms of the Brazil National Laws. § 1st - the World Presidency will be governed equally as willing in this article and it will be under the aegis of the Brazilian Headquarters, complementing its organization and administration by its own Internal Regiment, that also will respect the local and national effective laws, of the region in that be located. § 2nd - to the International Presidency will have the responsibility of to settle abroad and to organize administratively itself; it will inform abouth the integration to POETAS DEL MUNDO of any cultural institutions for them middle of performance, also supplying to the same orientations that it allows be them included in the POETAS DEL MUNDO cadaster. § 3rd - the creation of any Vice-presidency in the Continents and in the Arab Countries it will be in the responsibility and coordination of the International Presidency, that will guide it in all the necessary providences, directing the copies of the documents, besides of the Statute and of the nominal listing of Members of your Management and of the academic and similar groups, properly registered, preceded of integration solicitation to POETAS DEL MUNDO, for approval for the Presidency of this Association. § 5th - Para that the municipal district can create a representation of Poetas del Mundo will should be linked juridically to the State Representation - and will should possess at your place a minimum of 30 (thirty) associated poets. 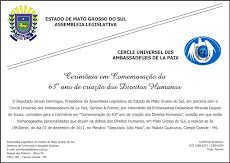 § 6th - for each REPRESENTATION STATE or MUNICIPAL will be, therefore, under the aegis of the National Headquarters of Brazil, complementing its organization and internal administration through Internal Regiment itself, that it will respect, also, the local, state, besides the national Brazilian Laws. § 7th - to each REPRESENTATION STATE or MUNICIPAL will to have the responsibility of to install itself administratively and to govern with own resources, also to inform to the National Headquarters the annexation of any cultural institution or natural person (Member) to its groups, to maintain its apropriate and updated cadaster. § 8th - each REPRESENTATION STATE or MUNICIPAL will revert, annually, to the National Headquarters POETAS DEL MUNDO, an amount in the value of sixty percent (60%) of the effective national minimum wage in Brazil, in the occasion of the payment of that amount, that should be done until the end of the first quarter of every year, for cadaster expenses and them updating, expenses with mail, phone calls, Internet, material of the National Headquarters printed for popularization, some administrative basic orientation to the Representation, that is done necessary. § 9th - the National Headquarters of Poetas del Mundo will make for the representations (RE-s) the transfer in the value of 10% (ten percent) about the received funds of each State Representation. § 10th - each Continent, Country, Province or Department will take care of studying the value of the quota monthly or annual that should be paid to the entity, everything of conformity with the Laws of each Country and under the responsibility of each one. 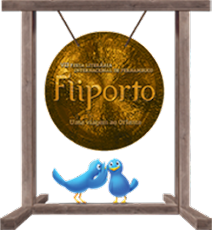 § 11st - in the quota of each Country, it will revert for World Headquarters Poetas del Mundo - in name of Luís Árias Manzo - the equivalent to 5% (five percent) on the collected values. § 12nd - in case of dissolution of some REPRESENTATION STATE or MUNICIPAL, its patrimonial collection in the occasion, after payment of your debts (for the which only the Representation State or Municipal is responsible) that, by chance, there is proven, it will revert to the National Headquarters of POETAS DEL MUNDO. anything impeding that each Representation State or Municipal in agreement with its own will and need, enlarge its sections, each one with the Director itself. § 14 - each Country, Province or Department will organize its management following Entity Mater's patterns (Brazil) - adjusting it in the form of the effective legislation in each region. Art. 3° - starting from the signature date of this Statute, POETAS DEL MUNDO will maintain on its patrimony to build, movable and immobile properties, full responsibility and administration. 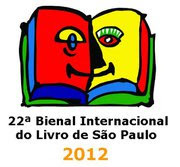 § 1st - the POETAS DEL MUNDO members, in Brazil, to help in the maintenance of the activities of the Association on behalf of the Culture, it will contribute with a minimum annuity of thirty percent (30%) of the effective national minimum wage, in the occasion of the payment, or this can to be done in monthly installments of 1/12 (twelve grandparents) of the referred value, always updated for the national minimum wage, of the time of the payment of each installment, values that will be deposited in checking account, for to be open in the name of Poetas del Mundo in the Banco do Brasil S.A. (Bank of Brazil AS) e/ou in the Caixa Econômica Federal (Cash Federal Savings Bank). § 2nd - each Continent, Country, Province or Department will establish its associates' annuity - monthly or annual and that should be paid to the entity, everything of conformity the laws of each Country and under the responsibility of each one. § 3rd - the Institutions that if adopt POETAS DEL MUNDO will pay a rate of annuity of fifty percent (50%) of the effective Brazilian national minimum wage for occasion of the payment of the same. § 5th - the any other cultural institution, natural person or juridical - individual or collectively represented - the power will be delegated of managing the patrimony of POETAS DEL MUNDO. XI - to create communication institutions (newspapers, magazines, radios, TVs, sites) for best to publish the literature, the peace, the middle environment, the solidarity, the human rights, the Poetas del Mundo. XII - to promote, to motivate and to support: exchanges, congress, encounters, conferences, lectures, exhibitions, courses, contests and other events, always seeking the improvement of the Cultures and Arts with popularization and accomplishment national and / or international, in agreement with the norms of this Association, here specified, as of the effective laws in their application places. XV - support for the Cultural Variety - the vision of the singularity of each human being and the singularity of the ethnicities, geographical areas, religions, abilities and other different groups. In that way, the execution of projects against the prejudice and in favor of valorization of the variety, as factor of humanitarian support and of equality of rights. DOS POWERS, THEIR COMPOSITIONS AND COMPETENCES. f) Countries Representations, Provinces, Departments, State and Municipal. Art. 6th - of the General Assembly - How to can deliberative of the Association, the General Assemblies will be composed for the Founders Members of POETAS DEL MUNDO, more their Titular Members. 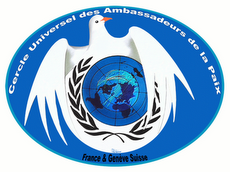 b) to meet in Extraordinary General Assembly to examine and / or to deliberate on referring important subjects to POETAS DEL MUNDO or of interest of the Cultures, of the establishment of the international dialogue and peace, of the observance of the Human Rights and of the Middle Environment, always in agreement with the specification in the summons of the Management. c) the Extraordinary General Assembly will still be able to treat of the dissolution of the Entity, deprivation of the eligible Directors and alteration of the Statute, since it gets if it constitutes with the quorum of 50% one more (01) of the associates in regular conditions in POETAS DEL MUNDOS or, in second summons, with the presence of any number of theirs voters Members, for discussion and approval - or not - of the subjects on the agenda. § 2nd - the Association President will install the General Assembly and he will invite the presents for they will elect the Assembly President that will write the record. § 3rd - the vote won't be allowed by procurement. § 4th - in the General Assemblies the votings will be accomplished in an established way by most of the present members. § 5th - the deliberations will be resolved by simple majority, but not for exceptions foreseen in this statute. § 6th - the General Assembly ordinarily meets in February or March or extraordinarily, when summoned in the terms of this Statute. § 7th - the right of voting and to be voted will be able to be exercised only for who is without debit with the Financial Department of the Association. § 8th - the General Assembly will only interfere in subjects when those if they refer to the expressed objectives in the present statute and they go of interest of the Community (in the case, of the Poetas del Mundo). § 9th - the positions of Management non eligible, will be completed, later to the possess of the elect Management, to criterion of the President of POETAS DEL MUNDO, when it is done necessary to the development of the Association; the ones of the item " A " to " H " (Art. 7°, § 2nd, item A) and the Fiscal Council will be elected by the General Assembly. § 10th - the approval of the bills of POETAS DEL MUNDO depends on the presentation of the Report of the Financial Director to the Fiscal Council. It is competence of the President, to take the Report to the appreciation of the General Assembly. d) to solve, ultimately, all the special subjects and resources that be submitted it. Art. 7th - of the Management - it competes to the Management, to administer the activities of the Association, to elaborate and to execute the annual program of activities, to elaborate and to present to the General Assembly the Annual Report with the respective accounts rendered, to admit and to dismiss employees, to propose the reform of the Statute, presenting suggestions and justifications, as well as the choice of the Directors, Members not chosen, owing the choice to be, preferably, among in Members Founders Titular and / or holders. § 1st - the Management also competes to summon for (and to do to accomplish) ordinary and extraordinary meetings inside of the legal procedures, always in the regimental terms. b) - Positions non eligible, that can exist or not, to criterion of the President, for constitution of Departments and in agreement with the growth of POETAS DEL MUNDO among the ones which the Managements of: Communication; Partner-cultural, Middle-Environment, Human Rights, Support to Projects, Reception of Resources, International Relationships, of the Young Writer, and, so many other as are necessary. § 3rd - POETAS DEL MUNDO can have President(s) of Honor - Personality(ies) of it enhances national, chosen(s) in agreement with the statutory and regimental norms of POETAS DEL MUNDO. § 4th - the first elect President of POETAS DEL MUNDO, when leaving the function, will pass, automatically, the President of Honor lifelong of the Institution, with your name included in the Group of Presidential Honor. and) - other competences will be certain in the Internal Regiment to be approved and registered hereafter. a) - to substitute the President in its impediments, to represent the President in visits or social actions, to collaborate in the direction and execution of all the activities of the Association, still being able to, to assume the Presidency, in the vacancy declared in Assembly-general. b) - to summon new elections in the case of vacancy of President's position to happen to the half of the mandate, it should summon new elections. In case the vacancy happens after having elapsed fifty percent, more one day, it will competence of the 1st Vice-president to summon the Management, so that the necessary providences are accomplished for the relocation of the Members of the Management in the positions, starting from Juridical Director's position upward; assuming, the own Vice-president, the Presidency, gathered the Management, the same will deliberate about the maintenance, it changes or relocation of the other Managing Members in the new administration. d) to provide for that be accomplish all the intern communication and its due registration in file. To substitute the Secretary in its impediment. 3 - to prepare annual report, regarding the previous exercise, until the end of January, so that, after approval of the President, it can be submitted to the approval of the Ordinary General Assembly. To substitute the Treasurer in his impediment. - each Director will organize, how to judge reasonable and necessary, his Department, caring for for the good course of the works of the same, submitting the choice of its team and the planning of his Department to the approval POETAS DEL MUNDO. 2 - to defend juridically the interests of POETAS DEL MUNDO. 1 - controls and preservation of the patrimonu and of the Headquarters and too much material and cultural properties of the POETAS DEL MUNDO. a) - they attended for the meetings for which be invited. a) - to organize his Presidency, with his team, to establish the regulation of the same and your work planning, submitting to the approval of POETAS DEL MUNDO President. a) - to organize their Management and, with their team, to establish the regulation of the same and their work planning, submitting to the approval POETAS DEL MUNDO President, organizing, also, in the municipal districts of their state, or of their countries of origin. a) to represent in in their State or City to POETAS DEL MUNDO. b) to render support in the diffusion of the works of the POETAS DEL MUNDO members. Art. 8th - of the Fiscal Council - the Fiscal Council is composed by three elect Members by the Ordinary General Assembly and more two Substitutes, staying them in their functions for the same period that the Management with them elect. § 2nd in case of vacancy, the mandate will be assumed by the respective substitute, until its end. Only paragraph - The Fiscal Council will meet ordinarily to each three (3) months and, extraordinarily, whenever necessary. Art. 10th - when being informed of any meeting of the Management, it will fall to each Director to inform and to summon his direct Assistants for discussion of the subjects of the line of the meeting, receiving suggestions of team him. § 1st - the defined position of each Department will consist of approved Record and properly, signed and directed officially to POETAS DEL MUNDO. Art. 11 - the summons of the Ordinary General Assembly, with a minimum of 1/5 (a fifth) of associated, it will be made of twenty days in advance, except for cases considered special and very urgent, preferably by electronic correspondence (e-mail), that should be answered immediately. In the impossibility, of such an use, summons should be used through the press or of the communications, for telegram or letter with AR (greeting warning), or still for communication to the associates' group. Art. 12 - the summons for Extraordinary Assemblies should happen in the expressed form for the President, or by signature of, at least, 1/5 (a fifth) of the associates that are in regular conditions, close to POETAS DEL MUNDO. Art. 13 - If some voter Member, in the conditions above cannot attend, he should send vindicative correspondence that should contain the Associate's name that will substitute him. The document should contain the necessary representation powers, being him supplied all the documents and pertinent information about the subjects that will be discussed in the plenary meeting. Art. 14 - in the General Assembly they should be present, in First Summons, at least 50% (fifty percent) more one of the all of the number of voters Members, in other words, the ones that are in regular conditions close to POETAS DEL MUNDO. In Second Summons, half hour after the First Summons, the General Assembly will take place with the presence of any number of their voters Members. The General Assembly is the supreme power of POETAS DEL MUNDO and it is private competent, concerning the election of the Management., in what it refers to Art. 7°, § 2nd, item A. Art. 15 - the meeting of the Management will be made by official summons of the Presidency, in advance low of fifteen days. OF THE MEMBERS AND THEIR CLASSIFICATIONS. g) STATE AND MUNICIPAL REPRESENTATIVES - all the components of the Managements of the State and Municipal Representations. i) HONORARIA - Constituted by the that, in the future, they come to be honest with such a title for POETAS DEL MUNDO. They are those that, in judgement of the Presidency of the Association, independent of nationality, become worthy of the distinction, be by virtue of their work or of their work in benefit of the Culture, be due to important services or financial donations the Association. The number of Honorary Members will be of in the Maximum of hundred and fifty Alive Members, for Country; for death of a Honorary Member, his name will be transferred for the Group IN MEMORIAM and will open up its vacancy in the Group of Honoraria. § 1st - World and Founder President's Position (art. 1st § 4th) and International President (art. 1st § 6th) they are lifelong - the elections will happen for the other positions of the management, after the mandate period. 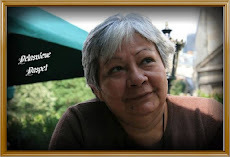 § 2nd - the Members considered Founders of POETAS DEL MUNDO, they will be exempt of the payment, in the first 01 (one) years, of the annual rate of POETAS DEL MUNDO, being able to, even so, of free will, for that time, to contribute financially with the Association, for spontaneous donation. Art. 17 - after having vested, no Member can give up its institutional dignity. 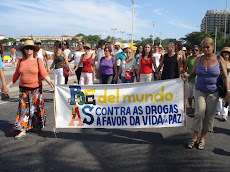 The exclusion of one of the groups will only feel because of death, for the that the died Member will be included automatically in IN MEMORIAN'S group, or for financial default or attitude inadequacy, when the Member will become a Transposed, losing the reasonable rights to the Members of POETAS DEL MUNDO. Only paragraph: The admission and the associates' exclusion is attribution of the General Assembly. OF THE MEMBERS' RIGHTS AND DUTIES. Art.18 - it is granted to each Member of POETAS DEL MUNDO the right of presenting to the Management of the Entity the name of civil or juridical personality, justified, proven and documented the indication, in the amount of one (01) suitable a year institutional, for greeting of Honorary Titles, presentation that that will be evaluated properly by the Management of the Entity, being able to or not to be countersigned. Only § - The Honorary Titles, Medals and Diplomas and emblems other servants and offered by POETAS DEL MUNDO, they can be offered, being admitted, in certain occasions, partnership with other (s) Entity (s) since there is agreement among the respective Managements. c) preferably, to have exercised cultural activity previously. §2nd - the exclusion of a position will only be able to happen in the terms of the previous paragraph, or when for attitude that hurts the norms of POETAS DEL MUNDO or attack at a co-participant(s), for decision of Management. c) to use title, emblems, medals, to glue and badges other, indicators of its quality of POETAS DEL MUNDO member, of conformity with the models appreciated by the Management. Only paragraph - The Members of the Groups of Transferred and of IN MEMORIAN, for obvious reasons, they won't be able to use of such rights. f) to carry out with zeal and dedication the responsibilities that to assume or that are confident them, caring for the excellence in their cultural-artistic performance. Art. 22 - besides those mentioned in § 9th of Art. 2nd and in Art. 3rd of this Statute, the patrimony of POETAS DEL MUNDO will be composed by donations, contributions and legacies that are checked for them. Art. 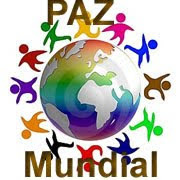 23 - they will constitute social income the value of the contributions of the units integrated POETAS DEL MUNDO, the real profit of the participations in events, fairs and still the donations of any nature granted the Association. Only paragraph - In case of dissolution of the National Thirst of POETAS DEL MUNDO, your patrimony will have the established destiny in § 3rd of Art. 3rd of this Statute. Art. 24 - the World Presidency, Continental Vice-presidencies and Arab Countries and component Countries of the Vice-presidencies, they will fit to organize their patrimonies, fitting them total responsibility on their expenses. Art. 25 - the patrimonies of the World Presidency, Continental Vice-presidencies and Arab Countries and component Countries of the Vice-presidencies, in the exterior, being responsibility of the same ones to administer them, in agreement with their own organizations. Only paragraph - In case of dissolution of the World Presidency and Continental Vice-presidencies and Arab Countries and component Countries of the Vice-presidencies, your Patrimonies will receive the destiny that your Managements determine. Art. 26 - the patrimony of the State and Municipal Representations in States will be for them own administered. Only paragraph - In case of dissolution of some STATE OR MUNICIPAL REPRESENTATION, in Brazil, of POETAS DEL MUNDO, their patrimonies will have the established destiny in § 8th of Art. 2nd of this Statute. VI - Greeting of copyrights etc. IV - the accounts rendered of all the resources and properties of public origin received it will be done, as it determines the only paragraph of Art. 70 of the Federal Constitution. Art. 29 - the first mandate of the Management of the Brazilian Thirst will have the duration of 10 (ten) years, admitted reelections of their Members. Starting from the second the mandate - the time of duration will be of 5 (five) years. Art. 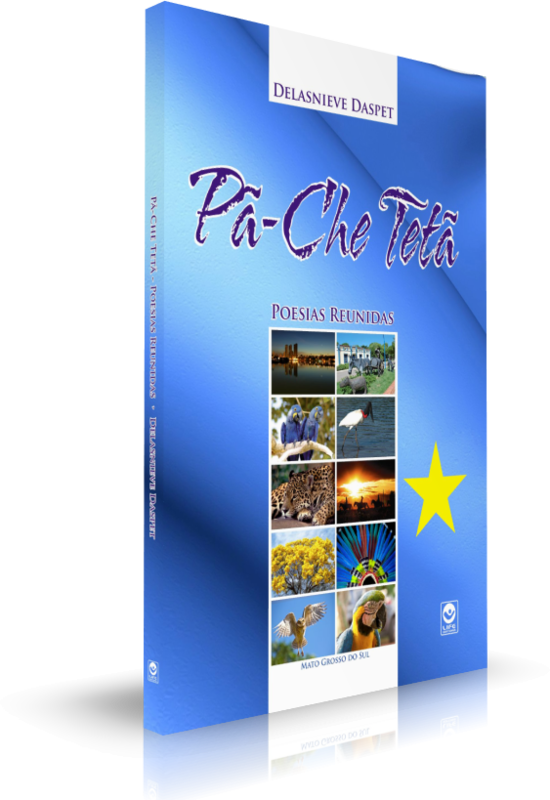 30 - the rates and contributions the one that is subject the Members and Institutions integrated POETAS DEL MUNDO will be the constants of approved table, in meeting of Management of the Entity. § 1st - the cash belonging to POETAS DEL MUNDO will be picked up to chosen bank establishment by the Management, deposit in checking account on behalf of POETAS DEL MUNDO, whose movement will be accomplished by signature, together, of the President and of the Treasurer. § 2nd - the amount in cash maintained in the box it will be confronted by the President, of common agreement and with knowledge of the Treasurer. Art. 31 - the World Presidency is not subject to the payment of monthly fees, rates or contributions for POETAS DEL MUNDO, National Headquarters; all the received budget the any title for the referred World Presidency will be with her own used. Only paragraph - Nothing impedes that people, World Presidency, International Presidency, Continental Vice-presidencies and Arab Countries and component Countries of the Vice-presidencies and institutions another can contribute voluntarily to POETAS DEL MUNDO (Headquarters). Art. 32 - POETAS DEL MUNDO can create Decorations and to emit Diplomas and, always, in number annually limited, to commemorate events, to honor personalities or institutions or to express recognition. § 1st - The current expenses, in what refer to the Brazilian Headquarter of POETAS DEL MUNDO, they will be you paid by the POETAS DEL MUNDO. § 2nd - In what is refered to the World Presidency, Continental Vice-presidencies and Arab Countries and component Countries of the Vice-presidencies, in the exterior, and to the STATE AND MUNICIPAL REPRESENTATIONS, the same ones will request authorization to the Headquarter in Brazil to grant Medals and Diplomas, always also on behalf of the Association, being known that, to the they obtain the approval of the Association, the current expenses, they will be you paid by the them own, not due to the Headquarter in Brazil. § 3rd - POETAS DEL MUNDO will maintain autonomy about emblems and decorations for it established. They can happen it grants of Medals, Titles / Certificates in partnership with other Institutions, with approval of the Presidency of the involved Entities. Art. 33 - the Financial Year of POETAS DEL MUNDO has beginning in first (01) of January and end in thirty one (31) of December, of every year. d) the accounts rendered of all the resources and goods of public origin received by the Organizations of the Civil Society of Public Interest it will be done as it determines the only paragraph of the art. 70 of the Federal Constitution. Art. 34 - the members of the Management don't notice, the any title, financial advantage for the exercise of your mandates and functions. Art. 35 - exceptionally, it will can have position or function accumulation in the Management. Art.36 - POETAS DEL MUNDO can found cultural entities, or to previously incorporate those existent: Literary and Artistic academies, besides Scientific, as well as the Vice-presidencies in the exterior, and always under the acquiescence of the Presidency of POETAS DEL MUNDO. In what it refers to the Vice-presidencies, it will depend before the agreement and direct coordination of the International Presidency. Art. 37 - the Members of POETAS DEL MUNDO are not responsible individual, collective or other, for the obligations on behalf of it contracted, expresses or implicit. Art. 38 - POETAS DEL MUNDO, besides the resources originating from of the payment of the annual rates of adhesion, it can receive donations done by natural persons or independent entities and for partners or sponsors, or government budgets that come to be voted. Art. 39 - the meetings of Management and Plenary cannot be concomitant. Art. 40 - this Statute, works, discussed and approved unanimously in Plenary session it will only be able to be altered or reformed partially or totally, for deliberation of the Extraordinary General Assembly, especially summoned for that purpose, counting with most, being their Members corrrect in all your rights and duties to POETAS DEL MUNDO. Art. 41 - the present Statute goes into effect in the date of your signature and it will take your legal effects after the registration in competent registry. Art. 42 - the omitted cases will be solved for the Management in decision of most, falling resource of the decision to the General Assembly. Art. 43 - it is elect the Forum of the city of Field Big-bad, Brazil, for solved any doubts originating from of the present Statute, renouncing for any other, how no matter privileged that it can be. June 7th 2010, Campo Grande.